The premier ISU Grand Prix event of the figure skating season is finished and Canadian skaters, pairs Seguin/Bilodeau and dancers Gilles/Poirier, brought home the bronze bacon. Their peers look ahead to Skate Canada. 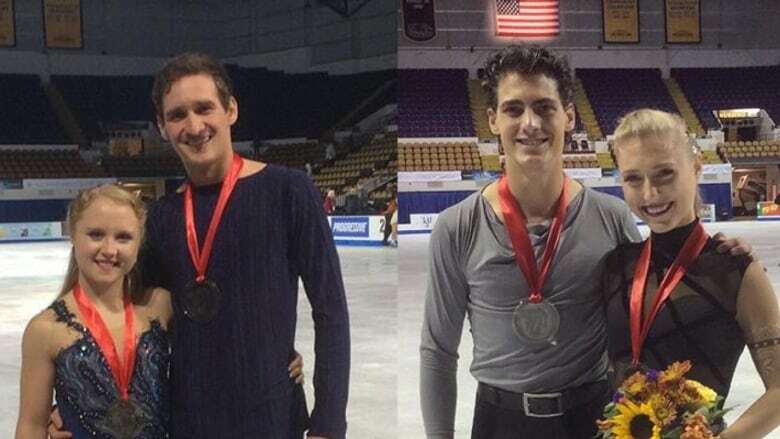 The premier ISU Grand Prix event of the season, Skate America, has wrapped up in Milwaukee and Canadian skaters were able to capture two third-place finishes. Can't see on mobile? Click here. Julianne Seguin was proud of her and Charlie Bilodeau's achievement that proved hard work pays off. Paul Poirier was more worried about what his mother would think of the state of his apartment after the Day in the Life: Gilles and Poirier feature we did on him and partner Piper Gilles aired during our new show Road to the Olympic Games. Please do not let my mum know that my messy apartment was on TV; I may get disowned. Figure skaters must compete at two of the six Grand Prix events throughout the season, and ones who weren't competing at Skate America had some congratulations for their peers. Former Canadian ice dancer Kharis Ralph had this to say of Gilles and Poirier: "Hair on point, tats on point, perfection on point @PiperGilles @PaulDPoirier #SkateAmerica #StandingO". What about those nails though? Meanwhile, skaters Nam Nguyen and Gabrielle Daleman were in the CBC building cheering on Seguin and Bilodeau before they appeared alongside Scott Russell and Andi Petrillo on Road to the Olympic Games. Both Daleman and Nguyen will be competing Oct. 29-Nov. 1 at Skate Canada International in Lethbridge, Alta., along with Patrick Chan, who will be making his triumphant return to the world of competitive figure skating. We'll be live streaming Skate Canada and featuring Canadian performances on Road to the Olympic Games. Will you be watching?